Time in Herculaneum stopped around 1PM on August 24, 79 AD. 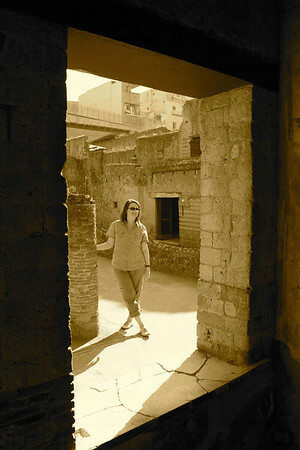 Herculaneum, what an amazing place! Perhaps not as famous as the ruins of Pompeii, Herculaneum was buried deep enough to preserve many of the upper stories of its buildings. It was a wealthier community than Pompeii and contains an impressive number of elaborate private residences. I wonder how many people have stepped over the threshold of this doorway. For more travel pics please visit Two Boldly Go Photography and for assistance planning your next adventure please contact us at Two Boldly Go Travel.